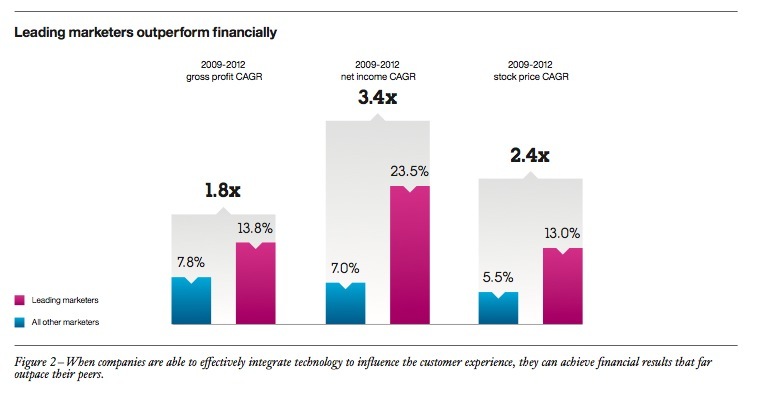 In the United States alone, roughly US$83 billion is lost each year as a result of poor customer experiences. That’s more than the revenue for the entire ecommerce retail sector, says a report from IBM, which highlights not only the importance of customer experience, but the critical question of its ownership. The IBM ‘State of Marketing 2013′ survey examined how leading companies are using technology and information resources to take charge of the customer experience from end to end, ‘owning’ it to improve business outcomes and achieve better financial performance. In the 2012 edition of the annual report, companies reported they were investing heavily in marketing technology and working to build effective omni-channel systems of engagement. Fast forward to 2013, and the focus has shifted in an important way. Investment and development of marketing systems and competencies is ongoing, but there’s a difference: those identified as leaders now place increasing emphasis on using those tools to deliver differentiating customer experiences. 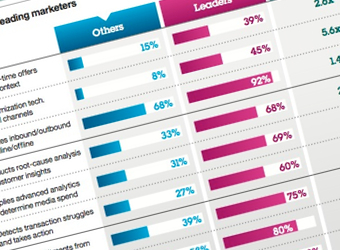 Last year, forward-thinking marketers were working hard to redefine their role and influence within the enterprise. Today, they’ve earned a seat at the business strategy table and are taking on the hard work of ‘owning’ the customer experience across the enterprise. They’re seeking to integrate customer insight and omni-channel engagement – including social and mobile, as well as more traditional channels – to coordinate activities and improve the overall customer experience. Marketing technology is an essential component of these efforts. However, it’s not just the breadth of technology adoption alone that matters, but how well it’s integrated across channels and the enterprise. This subtle shift in emphasis led to a new examination of leading marketers in this year’s survey. 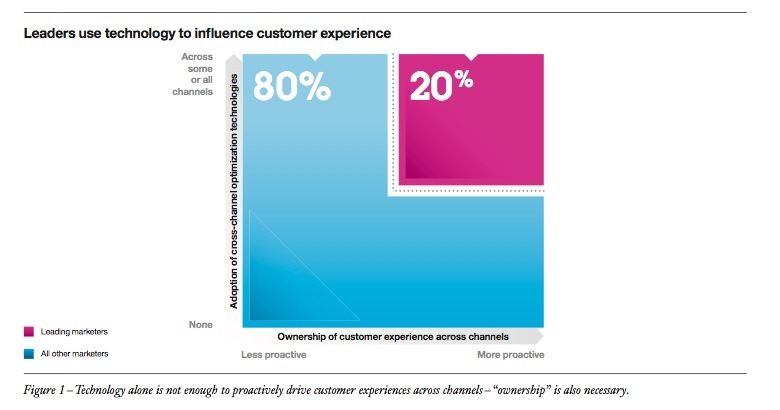 The respondents were categorised by the degree to which they proactively influence the customer experience across channels and the extent to which they optimise marketing technology to coordinate their activities (Figure 1). This segmentation revealed that those who excel at both also significantly outperform their peers (Figure 2).